Sigma delivers a variety of quantitative and qualitative services for verification, identification and component analysis of ferrous and non-ferrous metals through Tensile test (IS:1608-2005),yield strength, elongation, IS:1500-2005,ASTM E384 – 09 and more. Grain size:A material's grain size is important as it affects its mechanical properties. In most materials, a refined grain structure gives enhanced toughness properties and alloying elements are deliberately added during the steel-making process to assist in grain refinement. Effective case depth:This test helps in determining the depth to which the micro indentation hardness of the exterior portion of a part has been increased over that of the interior of the part. Non-metallic inclusion content:Non-metallic inclusions in steel are foreign substances. They disrupt the homogeneity of structure, so their influence on the mechanical and other properties can be considerable. During deformation, which occurs from flatting, forging and "Stamping (metalworking) stamping , non-metallic inclusions can cause cracks and fatigue failure in steel. Segregation of carbides:Carbide segregation to the prior boundaries of particles used in powder metallurgy to generate an article is eliminated through the use of a nickel-base alloy powder which coordinates carbon with the amount of Mo and W which can form detrimental amounts of undesirable carbides and with Cb, Ta, Hf and Zr which are strong formers of desirable MC-type carbide. Porosity content:This test is important for materials science, research and development, catalyst evaluation, exploration and production and many other applications. Through regular research and development, we are offering an exclusive collection of 2,4 Wire Dc Resistance Testing Laboratory. These services are rendered by experts according to the client’s requirement and work. In addition to this, offered testing laboratory services are appreciated due to their reasonable prices, and perfect results. 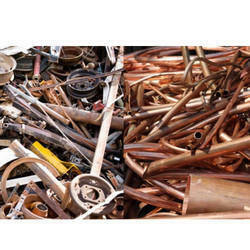 Occurrence of corrosion in metals, leads to a huge amount of wastage in metals annually .This could be prevented by periodic testing enabling the quality check leading to increased life span of the metals. Sigma Test and Research Centre, offers testing services for checking corrosion in metals through its specialized staff of experts. Here, a metal is subjected to stimulated conditions in order to analyze its sensitivity identifying signs of rusting, fatigue, pitting, cracking and other forms of damages. A predominantly important problem in the petrochemical and power generation industries is measurement of remaining wall thickness in pipes, tubes, or tanks that may be corroded on the inside surface. Such corrosion is often not detectable by visual inspection without cutting or disassembling the pipe or tank. We also offer investigation on the metals where corrosion has already taken place during operation. This approach is beneficial to identify potential for design improvements for better corrosion resistance. Corrosion over a metal can be examined through measuring the effect of corrosive substances over a wide range of temperature and pressure. The most common example of corrosion is rusting in iron. Corrosion Resistance is a mechanism where a material has the ability to withstand a particular type of environmental conditions without the metal being disintegrated. 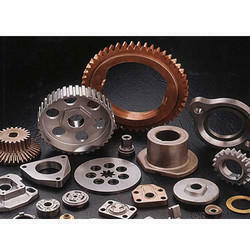 The resistance can be improved by addition of alloying elements and appliance of several coatings on the metals. Corroded metals may result in failed operations leading to huge amount of losses and to avoid such situations, companies are going for testing services ensuring safety and enhancing efficiency. Through regular improvement, we are offering an exclusive collection of Metal Testing Lab. Our professionals make genuine efforts to provide this testing lab service within the promised set of time span. In addition to this, offered service is much-admired by our clients for its accurate output and promptness. Owing to the presence of our proficient team members, we offer a wide range of Metal Testing Laboratory to our valued patrons. These services are offered by qualified persons. In addition to this, customers can avail this metal testing service from us at industry leading rates. By keeping our sync with the developments taking place in the industry, we are engrossed in delivering a wide variety of 2,4 Wire Dc Resistance Testing Lab for our esteemed customers. 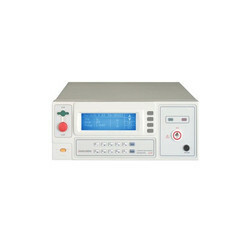 Offered array of resistance testing services is rendered as per quality principles. In addition to this, these services are rendered by experts, which holds the deep knowledge of this domain. Acknowledged as a pioneer organization of the business industry, we are affianced in providing 2,4 Wire Dc Resistance Testing Service. With our experienced team, we cater to the demands of our clients. Apart from this, we are offering this resistance testing service range at the budget-friendly market price. Being recognized amongst client-centric companies, we are engaged in providing Metal Testing Lab. Offered array of services is rendered as per quality norms. 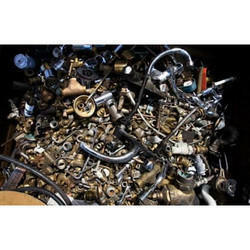 Apart from this, offered metal testing services are executed as per the customers need.